Working out is tough. You want to reach your goals and get fit, but it is hard to stay on course and not get bored with the silence. This is really apparent when swimming laps. I have found it hard to keep up a calorie burning pace. Each lap I swim is slower than the last and I often find, by the end of my workout, I’ve slowed down to a crawl. 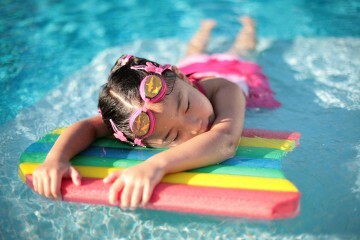 Many companies are trying to help solve this problem of swimming boredom. 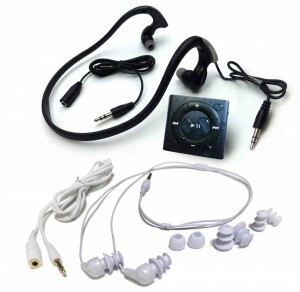 The best solution is to add music to your workout in the form of a waterproof player. This can lead to even more problems though, because you have to find the best product. Well don’t worry, because I have your back. Let me tell you about the most convenient music player for swimming. A lot of companies make waterproofed music cases or sleeves that you can put a player into. But these are often to big or too cumbersome to use while doing a workout. And you can’t wear them comfortably. Luckily, Underwater Audio decided to solve these problems in a very clever way. They looked at what was out there and instead of settling for something inferior, they innovated instead. They took a normal iPod shuffle and developed a way to waterproof the inside without compromising the seals or the ability to play great music. They took the problem into their own hands and came up with a great product. So why, you may ask, is this the best option for you while you’re training or working out in the pool? Because it is a small player with the ability to hold a lot of music! It comes built with a strong clip that allows you to hook it wherever you find comfortable. Also, because the team at Underwater Audio is always thinking ahead, they’ve also developed headphones with a short cord. That way you can clip your player to the back of your goggles and put the headphones in your ears and you won’t have a giant cord getting in your way as you swim. The last reason this player is the most convenient is: you can take it everywhere you want to go. Not just swimming laps but also on the river or the ocean. Anywhere you want to swim, the Waterproofed iPod Shuffle from Underwater Audio will follow you and works great every time. With the Waterproofed iPod Shuffle from Underwater Audio, you will be able to take the soundtrack of your life wherever you want to go. If you have any comments or thoughts, please feel free to leave them in the comment section below. Have fun rocking out and swimming hard.